We have some DVDs to GIVEAWAY. 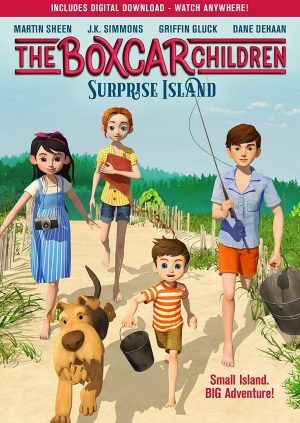 To be eligible to win a copy of The Boxcar Children: Surprise Island, email us at [email protected] with “Boxcar Children Giveaway” in the title. Please supply your name, address, phone number and email address (so we can let you know if you are a winner). The deadline for this giveaway is August 10, 2018.